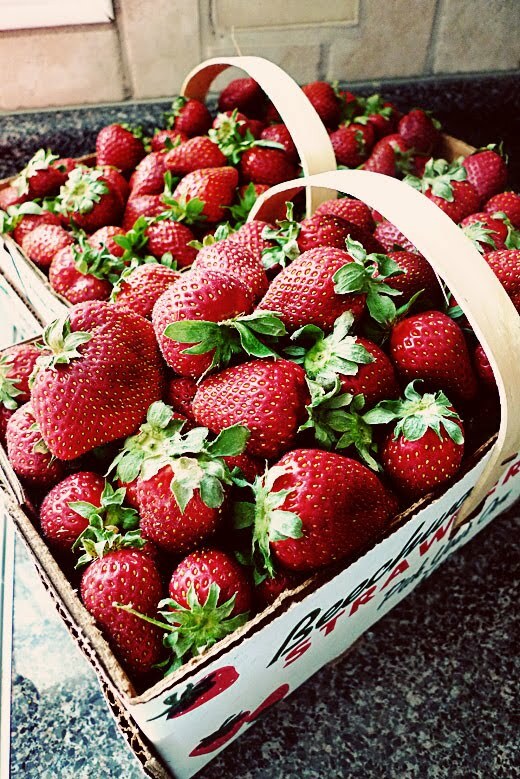 My weekend pretty much centered around strawberries. Not a bad focus, if I do say so myself. I picked 3 gallons worth of these sweet rubies at a local farm. What does one do with that amount of strawberries? Make pies, of course. Pictured here is a triple batch of Martha's Perfect Pie Crust. 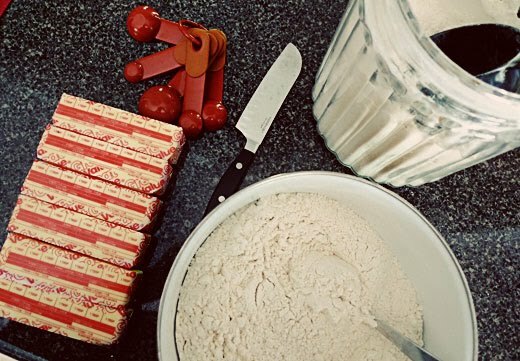 Please don't count the sticks of butter. 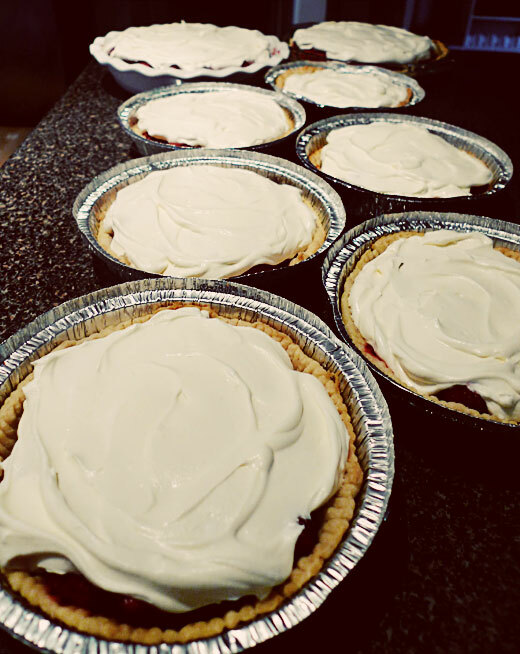 Why make one pie when you can make eight? One for myself and the rest to share. Pie fairies are real, you just have to believe. Even with all those pies, I still had about a gallon of berries left. So I flash-froze them. Now I have fruit for making smoothies, or ice cream, or berry compote. 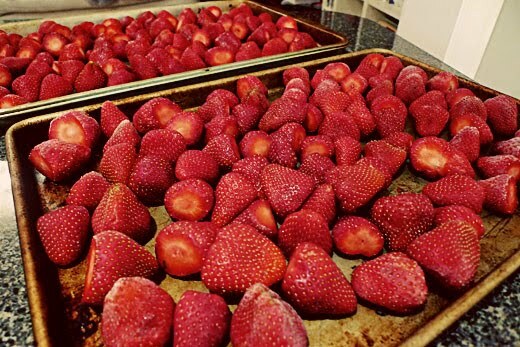 - my strawberry hulling record: 3 gallons in 31 minutes! My paring knife was smokin'.